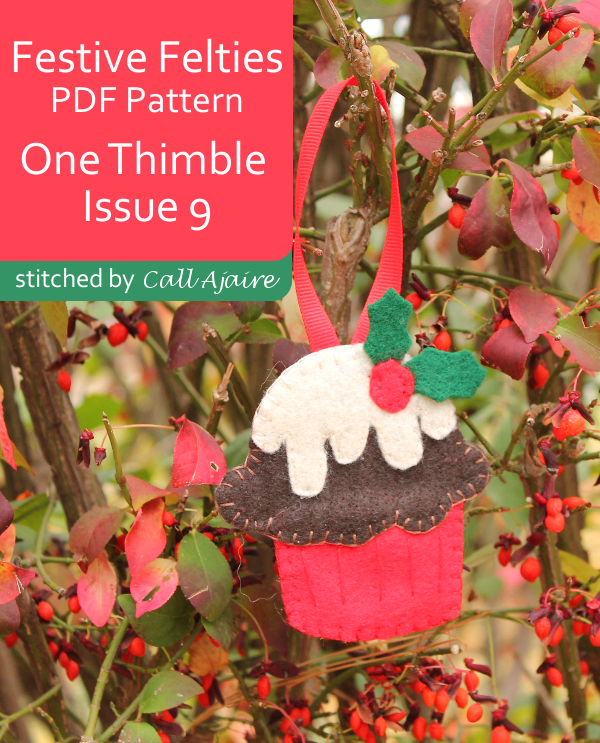 Issue 9 of One Thimble (*affiliate link) is out and packed with loads of goodies! The theme is vintage circus and the patterns are adorable, but the first thing that caught my eye in this issue was a little Christmasy felt project by Molly and Mama so I grabbed my felt and jumped right in. 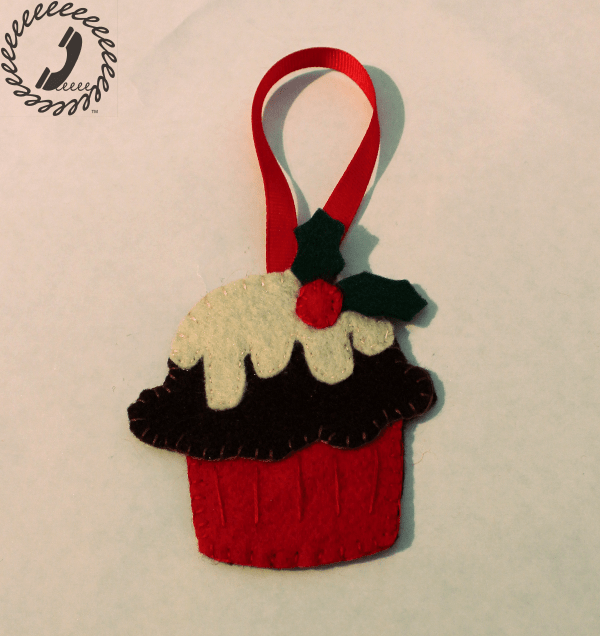 The Festive Felties (*affiliate link) pattern has three different Christmas themed designs: a cupcake, a mouse, and a reindeer. 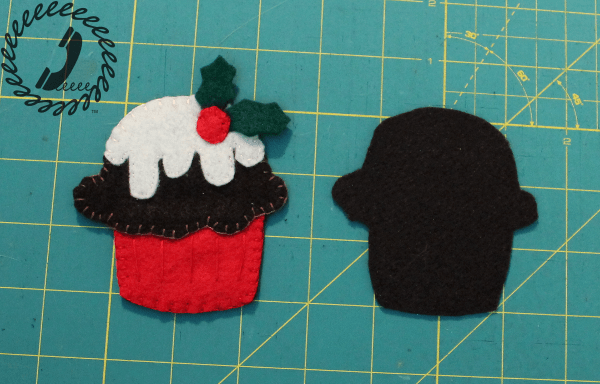 I chose to make the cupcake because that holly on top is adorable. The instructions are very thorough and include some tips for beginners. 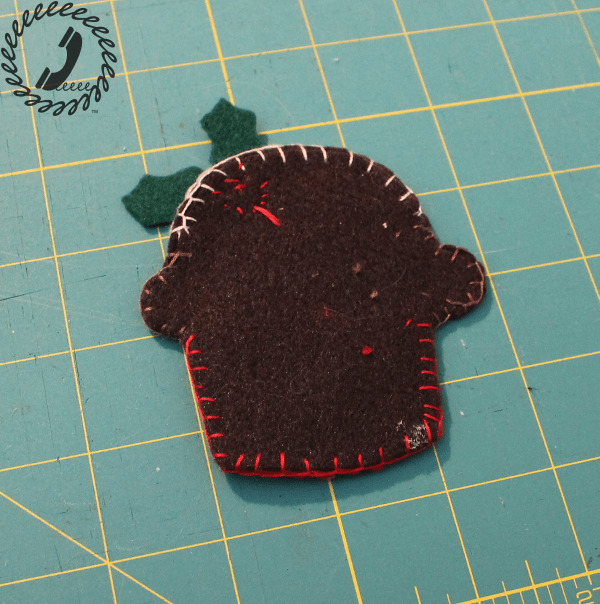 There are options for finishing the felties, but I chose to cut out one extra backing piece that was the same size as the finished cupcake. That way as I was stitching things together I didn’t have to worry too much about what the back side would look like. You can see I left the knots on the back side as well. 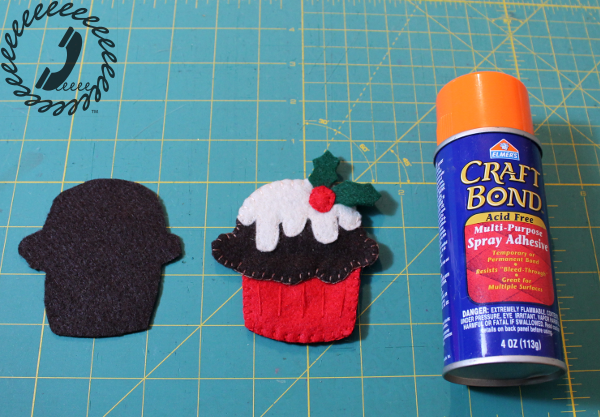 I used some craft glue to glue the backing to the back of the finished cupcake. 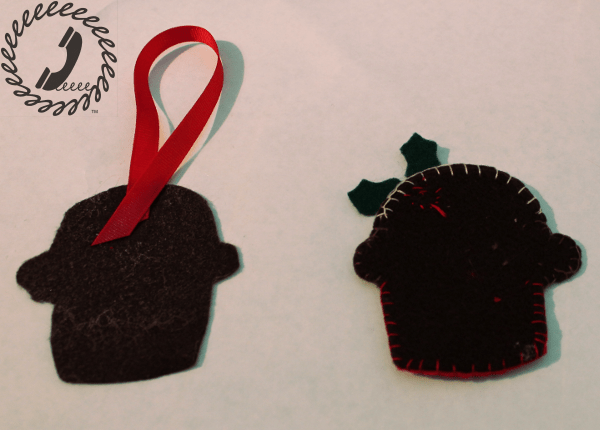 While the glue was still sticky I added a ribbon loop in between the pieces so it could be used as an ornament. I love how it turned out using traditional Christmas fabrics, but think about how cute this cupcake would be in fun birthday colors for a birthday party. This is only one of the many patterns and projects in this newest issue of One Thimble (*affiliate link). Check out the rest of the tour for more peeks inside.